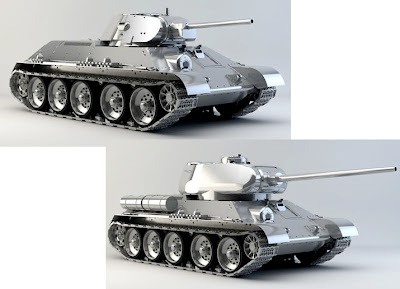 The Devon-based Armortek company has announced its latest 1:6 scale AFV model, the Russian T34, in short and long barrel versions. Armortek bills itself as the world’s leading manufacturer of these big-scale kits, with service, reliability, and top build-quality coming with every model. 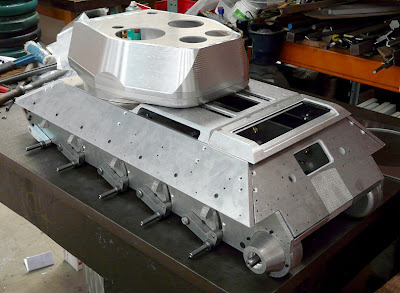 The kits are designed using 3D software to produce detailed virtual models, which are then proven by in-house rapid prototyping and manufacturing. Production parts - we’re talking big metal AFVs here - are machined mostly from solid material on multi-axis turning machines and machining centres. Armortek models feature scale thickness armour and use full-size construction practises when possible, so German tanks feature torsion bar suspension and fabricated hulls and turrets, while Allied vehicles feature volute or leaf springing and cast turrets, just like the real thing. Uniquely, Armortek uses industrial motors and control gear to bring the models to life. 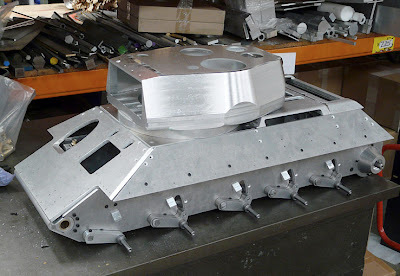 Typically, a tank can run for about 45 minutes per battery charge, and that’s impressive, bearing in mind the sheer size - an Armortek tank weighs in at some 170 kg (340lb) and has full cross-country ability, including climbing 45-degree muddy slopes. Special-effects packs bring authentic digital sound to the models, all sounds being recorded from the real thing. Smoke generators cough out proportional smoke from engine exhausts, while blank-firing guns provide spectacle in the field. The gunnery unit provides six shots from a magazine mounted inside the turret, using 12-gauge blanks with black powder filling, to give a deep cannon sound - with muzzle flash and plenty of smoke to impress onlookers! The T34 prototype pictures show the base model in unpainted metal. But of course, correct finishing transforms the appearance completely. 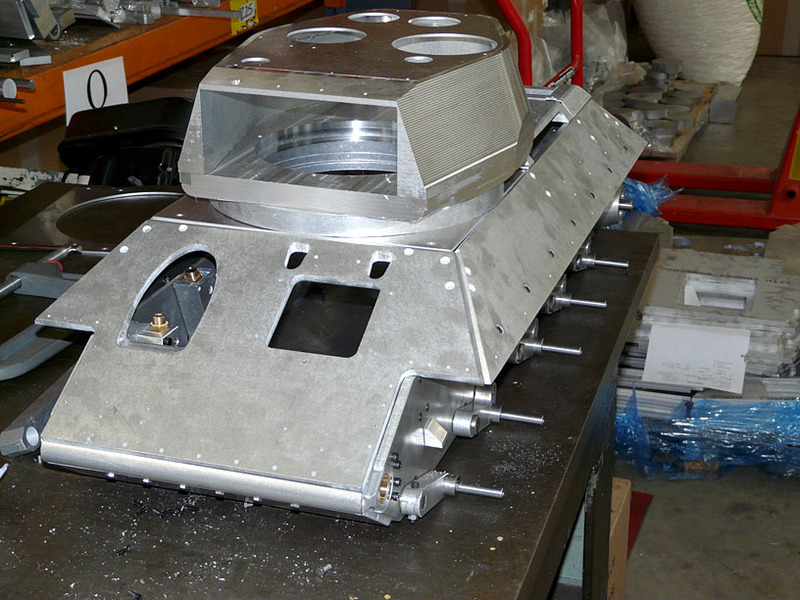 Shown above in front of Armortek's base are AFVs that show the sort of realistic appearance it's possible to achieve. The only downside of it all is price - a finished tank costs about the same as a decentish used car. 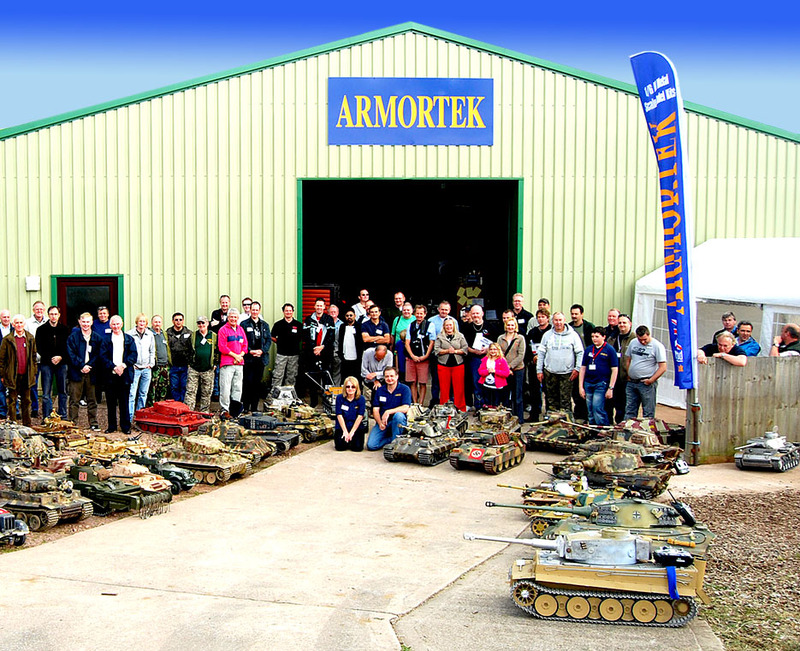 But if you have the money and enthusiasm, then Armortek should be first port of call. Have a look at the comprehensive website - it’s a mouthwatering temptation for any AFV fan.